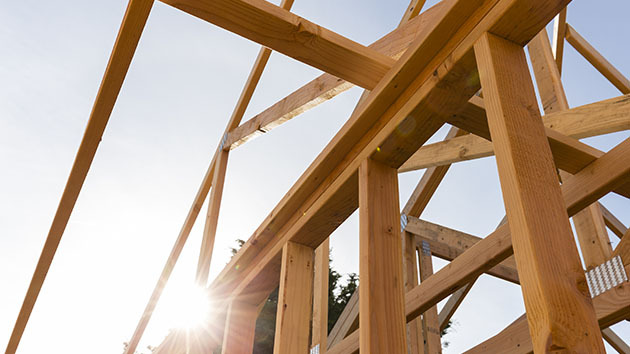 New home construction has not recovered from the housing market crisis and Great Recession, and that lack of building shows up starkly in data compiled by real estate firm Zillow. WASHINGTON — New home construction has not recovered from the housing market crisis and Great Recession, and that lack of building shows up starkly in data compiled by real estate firm Zillow. From 1985 to 2000, 6.1 single-family home permits were issued for every 1,000 residents in the Washington metro. Over the last decade, that pace has slowed to two permits for every 1,000 residents. Based on that data, Zillow says if building had maintained its historic pace in the D.C. area, there would have been 240,757 more single-family homes built over the past decade. With fewer new homes being built, the age of the housing stock in the Washington area has gotten significantly older. The median age of a home sold in 2017 was 33 years, up from 21 years in 2007. That inventory problem isn’t confined to Washington. Nationwide, Zillow says, more than 6 million homes are missing from the U.S. housing market nationwide over the past decade, based on the slowdown in construction compared to historic levels. Between 1985 and 2000, 3.9 permits were issued for single-family homes per 1,000 residents nationwide. Since 2008, it has slowed to 1.9 permits per 1,000. Inventory has been falling on an annual basis for the past 41 months, driving up prices, with the median home value now higher than the pre-recession peak in more than half of the nation’s largest markets. “Building activity came to a near-standstill when the housing market collapsed, and now, a decade later, years of underbuilding have left a gap of millions of homes missing from the American housing stock,” said Zillow Senior Economist Aaron Terrazas. Pittsburgh has the oldest housing stock, at an average of 65 years old. Austin, Texas, has the youngest, at an average of 16 years old.